Stephen Squires is a musician with a career that blends his passions for conducting, teaching, and performing. 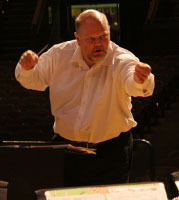 As a professional conductor, Mr. Squires has worked with many exceptional artists, including Frederica von Stade, Samuel Ramey, Janos Starker, Pinchas Zuckerman, Shmuel Ashkenasi, John Browning, Leon Bates, Stewart Goodyear, Richard Stoltzman, Ani Kavafian, Wendy Warner, James Tocco and most of the principal players of the Chicago Symphony and Lyric Opera Orchestras. 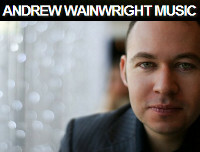 Fully committed to the music of living composers, he has conducted premieres of over 100 new works. Mr. Squires received his musical training at the Preparatory School of the Eastman School of Music, and earned his Bachelor of Music Education degree from the Crane School of Music, State University of New York at Potsdam. He earned his Master of Music in Instrumental Conducting and Trumpet Performance at California State University, Northridge. Further conducting studies were with Helmuth Rilling, Maurice Abravanel, Daniel Lewis, Tsung Yeh, and at the Aspen Music Festival. Mr. Squires has conducted recordings for the Albany, Delos, Spring Hill (a division of EMI), MEDR, and Centaur labels. Stephen Squires is Professor of Conducting in the Music Conservatory at the Chicago College of Performing Arts, Roosevelt University. Prior to this appointment, he served on the faculties of Plymouth State College (New Hampshire), and for 19 years on the artist faculty of the Northern Illinois University School of Music. This year marks Mr. Squires eleventh season as Music Director of The Illinois Brass Band. His other professional appointments include Resident Conductor of the Elgin Symphony Orchestra, Principal Guest Conductor of the Fox Valley Orchestra (Aurora, IL), and Music Director of the Millar Brass Ensemble (Evanston). He is the former Music Director of the Illinois Chamber Symphony and the Mendelssohn Chamber Orchestra. Mr. Squires has guest conducted the Chicago Symphony Orchestra, the Syracuse Symphony, the Green Bay Symphony, the Columbus Symphony, The Rockford Symphony, and the Chicago Composers Orchestra, as well as numerous educational festivals around the country. In addition to his conducting and teaching activities, he is an accomplished recital accompanist and freelance trumpeter.